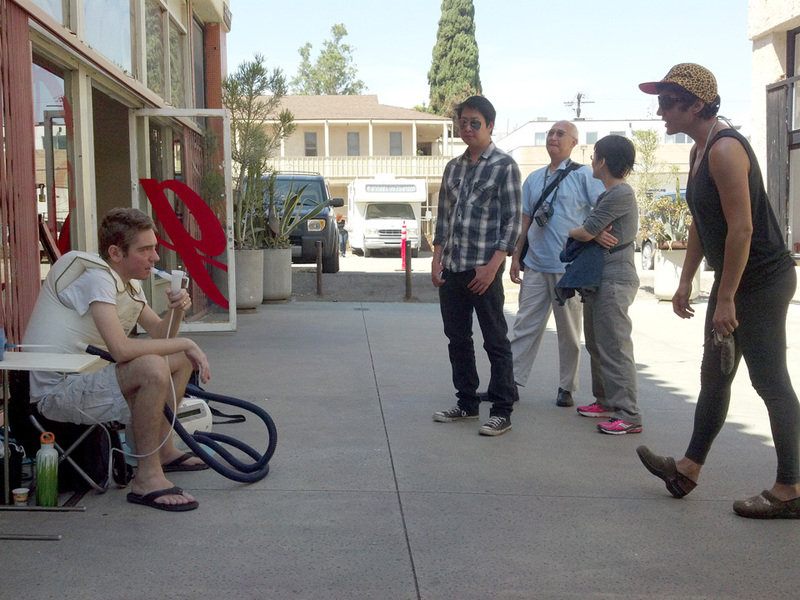 Vest Sessions was performed as part of Perform Chinatown, curated by Jamie McMurry and Alejandra Herrera Silva. 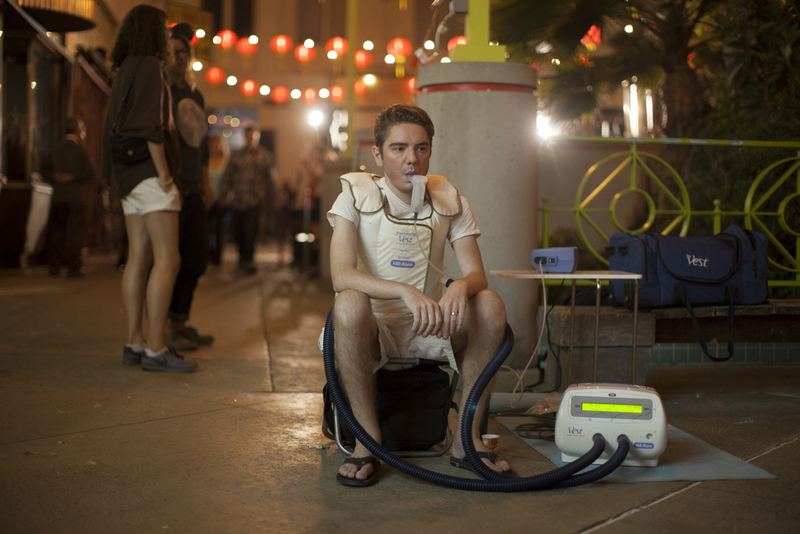 Vest Sessions was a series of my normal daily breathing treatments with only the location changing, from my home to Chung King Road in Chinatown, Los Angeles. Each session was 25 minutes wearing the Vest Airway Clearance device and nebulized medications (Albuterol and Hypertonic Saline).